In our first session of Verbal Live Prep – SC1 – How to Approach Sentence Correction – we saw that simplifying the sentence structure has a two-fold effect. Firstly, it helps clarify the (intended) meaning. Secondly, it helps you identify errors. We also saw that selecting the correct answer becomes much easier once you have a clear understanding of meaning and once you identify the errors in the original sentence. Click on the image to view the recording of the strategy session. In this article, we will see how knowledge of the various uses of that can be leveraged to simplify the sentence structure. Do the exercise questions in the end to test your understanding. When we simplify the sentence structure, we identify the clauses and we identify the SV pairs in each clause. Then we check for other logical linkages in the sentence - modifiers & modified entities, verb sequencing between multiple verbs, logical lists, and pronoun-antecedent pairs - and determine if errors exist. Using this analysis, we then evaluate the answer choices and confidently mark the correct choice. As you know “THAT” is a very common clause marker. It is a multi-faceted word. In this article we will discuss its two primary uses. 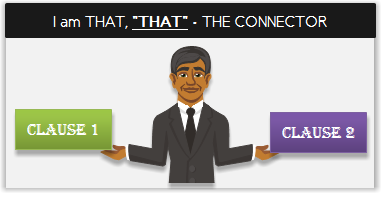 Note “that” may be used in other ways but these two uses constitute the most common uses of ‘that’. Mary made claims that pertain to her achievements in high school. In this sentence “that” refers to the preceding noun – claims - and the entire purple clause modifies the noun – claims. As you can see, “that” is the subject of the purple clause. Its verb is “pertain”. Retailers do not approve of the apps that allow shoppers to perform immediate price-comparison by scanning a product on the shelf. In this sentence “that” refers to the preceding noun – apps - and the entire purple clause modifies this noun – apps. As you can see, “that” is the subject of the purple clause. Its verb is “allow”. “That” modifies the preceding noun through this modifying clause and acts as the subject of this clause. Mary claims that she won several awards in her high school. In this sentence “that” connects two clauses. As you can see, “that” is simply a connector. It is not the subject of the purple clause. The subject of the purple clause is “she” and its verb is “won”. The analysts strongly believe that the manufacturing sector will continue to act as a drag on gross domestic product in the third quarter and that the improvement is unlikely until regional structural issues are addressed and the broader global backdrop brightens. In this sentence “that” connects clauses. o	Analysts strongly believe what? 	that manufacturing sector will continue to act as drag…. As you can see, “that” is simply a connector. It is not the subject of the purple or blue clause. The subject of the purple clause is “manufacturing sector” and its verb is “will continue”. The subject of the blue clause is “improvement” and its verb is “is”. Mary found certain evidence that even the Crime Scene Investigators (CSI) could not find. As you can see, “that” is simply a connector. It is not the subject of the purple clause. The subject of the purple clause is “CSI” and its verb is “could not find”. “That” connects two clauses. It acts as a connector. Each clause connected by ‘that’ requires its own subject and verb pair. 1. When you come across the word “that”, you should know right away that there is another clause. 2. Then when you get to identifying the SV pairs of each clause, keep in mind that depending upon how “that” is used, it could act as subject and it could simply be a connector. Rock samples taken from the remains of an asteroid about twice the size of the 6-mile-wide asteroid that eradicated the dinosaurs has been dated to be 3.47 billion years old and thus is evidence of the earliest known asteroid impact on Earth. We will now solve this question. This sentence is about certain rock samples that were taken from remains of an asteroid. Details about the size of this asteroid have been provided in the sentence. The main aim of this sentence is to specify the age of these rock samples and to make the claim that these rock samples are evidence of the oldest known asteroid impact on earth. •	has been dated to be 3.47 billion years old and thus is evidence of the earliest known asteroid impact on Earth. =>SV Number error, Verb does not exist. Per our sentence structure and meaning analysis, we know that there are two verbs for the subject – rock samples. In this choice, the verb “is” has been removed and hence second verb no longer exists. =>Correct choice. Both verbs are plural. The idiom has been corrected. This is a 700 level question. However, it was extremely simple to arrive at the correct answer once we simplified the sentence structure. We will see more of this in our SC2 – Sentence Structure session. 1. Identify all SV pairs in the sentence above. 2. Is there any problem with the sentence with regards to the SV pairs? 3. How will you correct the error? 1. 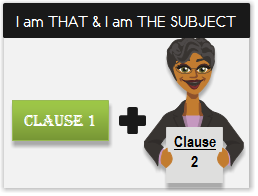 You can simplify the sentence into clauses if you follow the clause markers. 2. Identify majority of the errors. In our experience, you can solve over 95% of the SC questions through the methods described above. To get the most of this session, make sure that you have reviewed this article thoroughly and analyzed the two exercise sentences above. Here is a sample analysis of the first question. What if you are not an e-GMAT customer? 1. If you are not an e-GMAT customer but are interested to know more about Verbal Live Prep 2.0, then click here. 2. Interested to know more about sentence structure: There are a few very helpful concepts in the e-GMAT free trial. 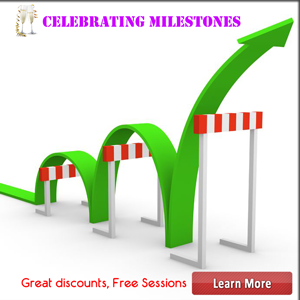 Click here to register and to review those concepts. Originally posted by egmat on 04 Sep 2012, 11:50. Last edited by egmat on 25 Jul 2018, 06:35, edited 11 times in total. Another great article from you Payal. Just so you know, I have signed up for e-GMAT verbal prep online even though I am already registered at GMATPill. In 1713, Alexander Pope began his translation of the Iliad, a work that, taking him seven years until completion, and that literary critic Samuel Johnson, Pope’s contemporary, pronouncedthe greatest translation in any language. that literary critic Samuel Johnson, Pope’s contemporary, pronounced the greatest translation in any language. Thanks for the praise Sri. I am glad you like the article. We will provide the answer in a day once we receive a few more responses. 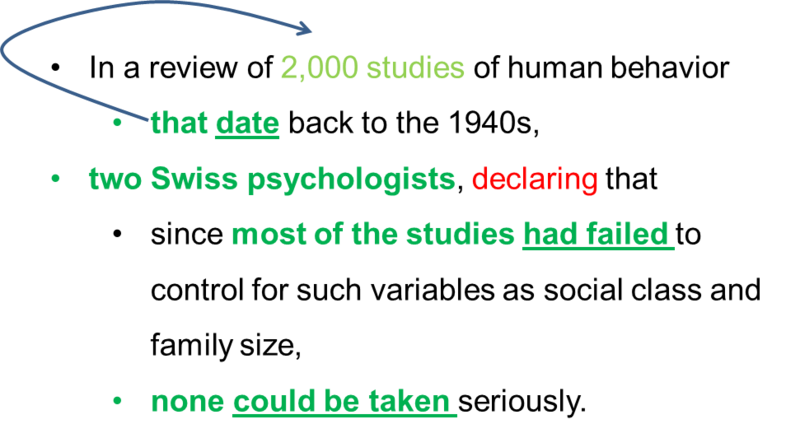 Structure and Meaning: Sentence says that these two Swiss psychologists did review of 2000 studies and declared that most of the studies had failed for some reason and hence none could be taken seriously. 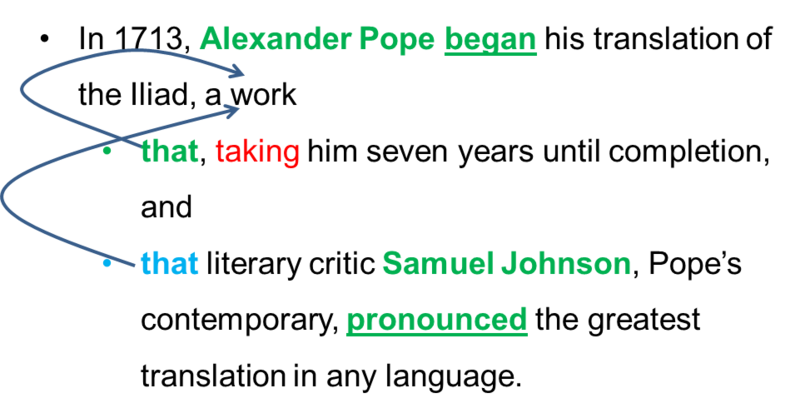 Meaning: Alexander Pope took seven years for completing of Iliad and his contemporary (Samuel Johnson) pronounced the Iliad the greatest translation in any language. "That" works as connector here. I have some issues in these question, kindly help me understand it..
1. First usage of that - that date back to the 1940s.. here that is acting as subject for date back to the 1940s and is referring to "In review of 2000 studies of human behavior" is singular, Date which is a verb should be singular. Am i correct ?? 2. Unable to understand the different usage of "," comma. How does that affect the sentence structure and modifiers. 2. two Swiss psychologists, declaring that since - here verb should be past tense "declared" , declaring is the present participle not the verb it should be followed by "were". 2. In 1713, Alexander Pope began [u]his translation of the Iliad, a work that, taking him seven years until completion, and that literary critic Samuel Johnson, Pope’s contemporary, pronounced the greatest translation in any language. 2. a work that, taking him seven years until completion - Subject - That which is referring to a Work (Singular), Verb - Taking, this is in participle form and is not a verb. Here " took " should be used as work is completed and therefore should be past tense. In this i am little confused .. is it the work that took seven years or Alexander took seven years to complete the work until completion. I think here that refers to the "2000 Studies"
, ing-modifier modifies the preceding clause. 2. two Swiss psychologists, declaring that since - here verb should be past tense "declared" , declaring is the present participle not the verb it should be followed by "were". -ing modifier is not a verb so we need a verb and ie declared. In this i am little confused .. is it the work that took seven years or Alexander took seven years to complete the work until completion. "a work" is a noun modifier and it is modifying "translation of Iliad"
Here that is modifying Iliad and this will change the meaning - Iliad itself can not take 7 years to complete. I am not an expert. I just wanted to help with my understanding. Experts can provide more details for sure. 1. Identify all SV pairs in the sentence above. 2. Is there any problem with the sentence with regards to the SV pairs? 3. How will you correct the error? 2. two Swiss psychologists, declaring that - declaring is not verb, so we need to change it to declared. SV Pair: two Swiss psychologists declared. 2. a work that, taking him seven years until completion - that refers to the work ie translation of Iliad. taking is not a verb so we need to change it to took. As you can see, "that" in this sentence is the subject of its clause. It refers to 2,000 studies. All the SV pairs have been identified in green color. The verb has also been underlined. The subject - two swiss psychologists does not have a verb. Declaring should be made into the verb - declared. Samuel Johnson pronounced the work the greatest translation in any language. Coming to the errors - there is no verb for the noun "that". Taking should be changed to "took". I would like to thank all who posted their responses. Next I will review each response. @srikirs007 - great first attempt - While you were able to spot the errors in both sentences, I would have liked to see some more simplification of the clauses. Please see the sentence structure above and see how you could have simplified them better. As you get in the practice of breaking down the structure of the sentence, you will see how all the interrelationships start to flow in front of your eyes. It would be difficult for things to hide from you How much SC course have you done so far. Make sure you practice the prescribed OG questions after every application file. Good luck!! @udaymathapati- I am glad that you posted your analysis of meaning as well. Great! Now as far as sentence structure goes, you have spotted the modified entities and modifiers. This is good. But I would have wanted to see more of clause structure as the first step and then modifier analysis. Please see the way I have done in the article and the solution of the exercise. For second sentence, the meaning analysis is slightly weak. Note carefully that Pope did not complete Iliad. He began and completed the TRANSLATION of Iliad. This is a very important distinction in this sentence. Here the modifier "a work" modifies the complete noun phrase - translation of Iliad. Also, note the two usages of "that" in this sentence as I have explained in the solution. But overall great attempt. Keep up the focus on meaning and sentence structure!! Ashish, great attempt and good questions. I especially like the modifier question - "a work that" vs "that". I see that @sourh7wk has made a good attempt at addressing your doubt. Please let me know if you have any more doubts about this one, especially the modifier question pertaining to sentence 2. I want to make sure that you understand the distinction between the two - grammatically both modifiers are fine. They both modify noun entities. But the difference is in terms of logically what makes sense as modified entity and hence the appropriate use of modifier is required. Also as far the comma goes - there should not be any comma between the subject and the verb here. The incorrect choice (choice A) has a comma between as follows - psychologists, declaring - but clearly when we correct this sentence we will change "declaring" to "declared" and we will remove the comma. I hope this is what you were confused about. Let me know if I misunderstood your confusion. @sourh7wk - Perfect response. This is what I was looking for. And great job clarifying the doubts above. 4. none could be taken seriously. I would like to analyse these sentences here. and that literary critic Samuel Johnson, Pope’s contemporary, pronounced the greatest translation in any language. Both questions also use parallelism and modifiers. Cl. 4: none could be taken seriously. So it is clear that Cl. 1 is not even a clause because the subject does not have a verb. So let’s correct this sentence. Cl. 1 is the IC. Notice that Cl. 3 and Cl. 4 together make up a long DC which can be further broken into a DC and IC. This combined DC is connected to IC Cl. 1 with “that”. Paleontologist Stephen Jay Gould has argued that many biological traits are not the products of natural selection, favored due to their enhancement of reproduction or survival, but that they are simply random by-products of other evolutionary developments. We have in all 3 clauses in this sentence as shown as we have 3 SV pairs. When “that” acts a connector, it connects an IC with a DC. The clause followed by that becomes the DC. This is so because the second clause has been cited to complement the first clause. So in such constructions, even if the clause following “that” sounds more like a complete idea, they are the DCs because they are preceded by “that’. This is the reason why clauses 2 and 3 in the above sentence are DCs because they both are preceded by “that”. That “that” beginning Cl. 2 is a connector while the “that” beginning Cl. 3 is the relative pronoun, the subject of that clause. Also notice that connector "that" is understood in the beginning of Cl. 5. When "that" is used a s connector, it can be understood. P.S- The concepts namely Sentence Structure Part 1 and Part 2 along with other concepts feature in our free concepts level – Level 1 Preview Concepts. 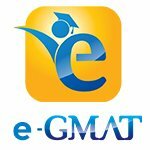 Just log on to e-gmat.com, register for free and learn all about phrases, clauses, and connectors. 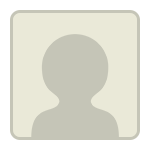 Originally posted by bagdbmba on 23 Dec 2012, 00:24. Last edited by bagdbmba on 25 Mar 2013, 04:05, edited 2 times in total. 1.In a review of 2,000 studies of human behavior that date back to the 1940s, two Swiss psychologists declared that since most of the studies had failed to control for such variables as social class and family size, none could be taken seriously. 2.In 1713, Alexander Pope began his translation of the Iliad, a work that, took him seven years until completion, and that literary critic Samuel Johnson, Pope’s contemporary, pronounced the greatest translation in any language. But the question were rather easy I think so it would be of great help if you can share some more OG qs. of 700+ level. BTW,Kudos for the article and look forward to seeing more qs. on this topic from you.